I am busy catching up on my challenges. Here is a tri fold card I made for the challenge over at Creative Moments. The theme is fancy folds. 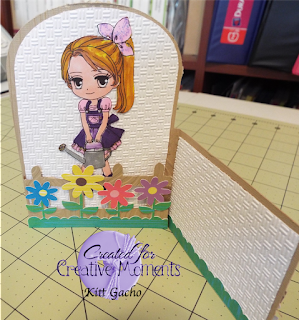 Be sure to stop by and see what the talented DT has for your inspiration today and see the cute images from our sponsor ArtbyMirian. I used the Chameleon markers to color and printed and cut with the Silhouette Cameo. I used a new Cuttlebug embossing folder called Oxford. It embosses a deep design giving the paper a nice texture. I bought it because I could see using it to emboss basket images, but it make a nice background for this card. 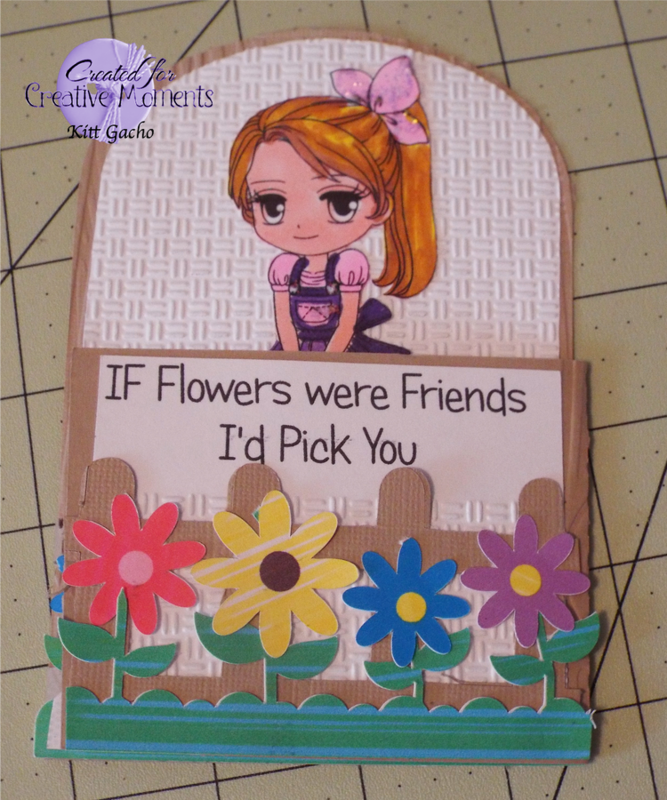 I also used the Cuttlebug wood embossing folder for the fence and base of the card. Thanks for stopping by today and leaving your comments I look forward to reading them. Sweet card! Love the fold! Thanks for joining us at CC&CC! Adorable this card. Great shape. 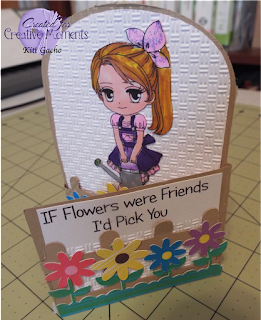 Super fun interactive card and just right for our cute and cuddle challenge at Cards in Envy. So glad you shared this with us. Take care. What a really fun card! Love it! Thank you so much for sharing this with us at Through The Craft Room Door.